OPINION: It has been almost 16 years since an Australian, male or female, has been the best player in the world in tennis. After watching Queenslander Ash Barty's performances this year that drought may not be lasting that much longer. 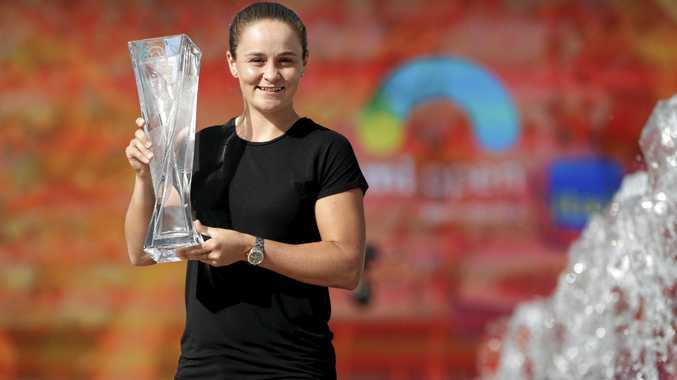 Barty is now one of the top players in the world after claiming her first WTA mandatory premier event in Miami yesterday morning. She defeated Karolina Pliskova 7-6 6-3 to make the move for the first time into the top ten in the world in singles. And I firmly believe she will go higher. Two weeks don't make a season, I get that, but her form over the past six months has shown she has taken her tennis to another level. She won the year ending tournament in China last year before making a quarter finals at a Grand Slam for the first time earlier this year at the Australian Open. There has also been one other area she has improved during this time: her fear of rivals. She doesn't have any any more and the victory over Petra Kvitova in Miami illustrated that. Barty in previous times has questioned or not convinced herself that she should be in the same company as these players. She has had yips when up against those players. But now that isn't happening, she is finishing the job and beating the best players in the world. Now, grand slam titles and the world number one ranking are hers to gain. Barty is the only player in tennis right now to be in the top 10 in doubles and singles. Soon, she might be the first Aussie to conquer the top since 2003.